As the current business landscape becomes increasingly reliant on online and data connectivity to keep up with business-level standards, SKYBIZ has strengthened its capacity and coverage nationwide and launched a new data connectivity service called SKYBIZ Enterprise IP VPN in key areas in Metro Manila and Cebu. SKYBIZ, the corporate and commercial division of Sky Cable Corporation, has a range of business-grade enterprise broadband and data services providing seamless business transactions ideal for start-up to large-scale companies. 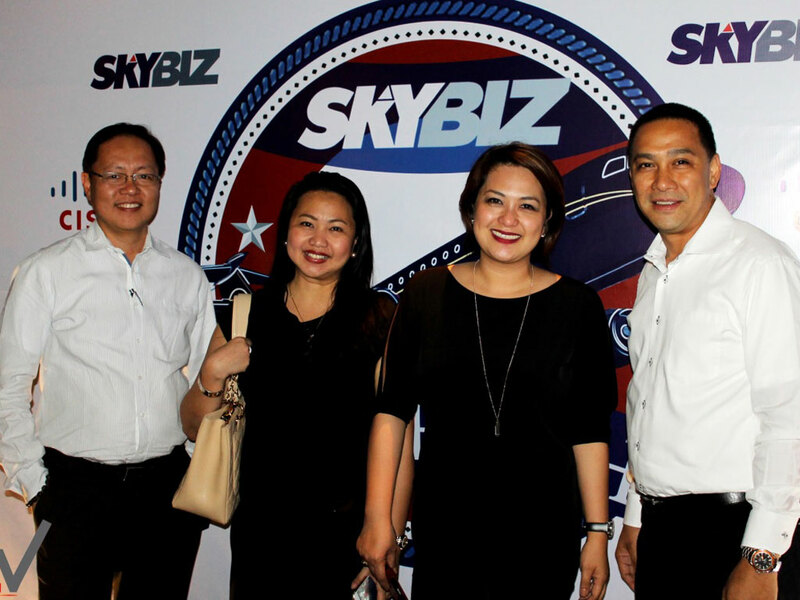 “SKYBIZ’ upgrade of its system shall provide enhanced holistic business solutions to the ever changing needs of the country’s enterprise segment,” Dicky Liwanag, SKYBIZ’ VP for Sales and Marketing said. “The enhanced network shall address seamless business transaction needs such as internet access for file sharing, video conferencing, Voice over IP, inventory management system among Banking, Finance, and Business Process Outsourcing companies; and internet access for file sharing and inventory management system among real-estate, retail, healthcare, hospitality, leisure & entertainment companies,” Liwanag said. The upgrade also includes the availability of Fiber-To-The-Office services that provide business-grade connectivity through multi-service infrastructure such as Broadband, Pay TV, Data and Other IP Services. With its enhanced network capacity, SKYBIZ can seamlessly connect businesses within widely-distributed locations, with a fully redundant and resilient network. It also expanded its network coverage in key central business districts such as Eastwood City, Ortigas, Manila, Alabang, McKinley, Quezon City and Makati. Meanwhile, the SKYBIZ Enterprise IP VPN ensures reliable and secure private network links among geographically-distributed sites such as headquarters, offices and branches. “With these developments, SKYBIZ becomes your next best alternative solution-provider in helping you build your business better,” Liwanag said. The enhanced capacity and new products shall soon roll out in Davao.